Nothing to see here. Just a cat. Taking a cold shower. 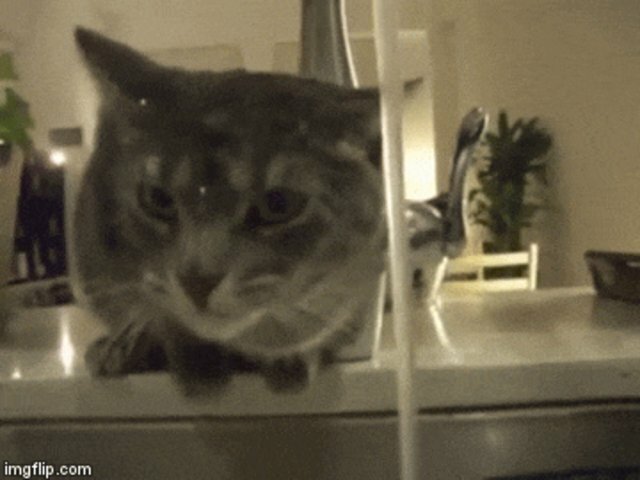 In a clip posted to Facebook earlier this month, a cat hangs his head not once but a few times under a kitchen tap. Despite popular wisdom - and miles of YouTube footage showing cats losing their marbles around water - this cat isn't actually broken. There are a few obvious reasons why a cat may not be into water. Their coats, for example, get very heavy when drenched. And cats, even though they have higher body temperatures than humans, don't like to get cold. 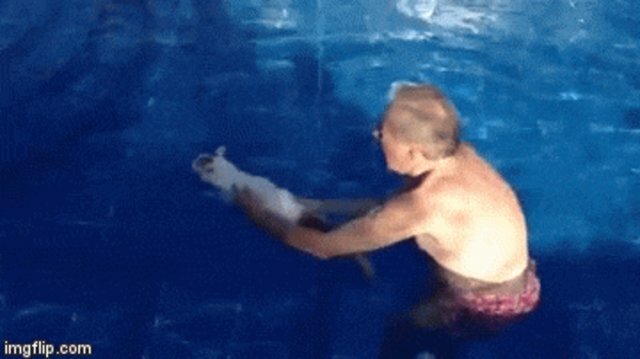 One interesting theory suggests house cats have been coddled for so many thousands of years by their human underlings, they haven't had to adapt to water. 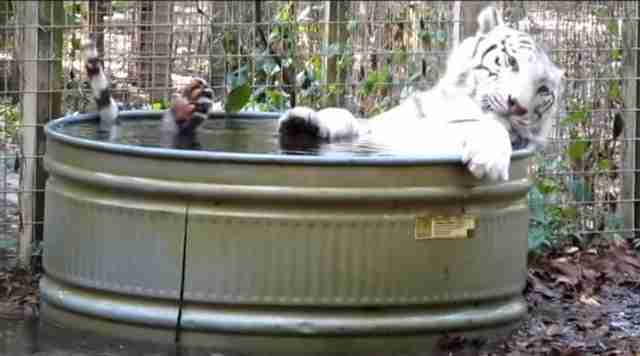 After all, big cats in the wild, having had to experience water naturally, are known to bathe and swim and generally not completely lose their minds in the rain. But then again, humans are also prone to coddling their dogs. And dogs are know to really get into water. Of course, why this house cat is so particularly fascinated by tap water is all speculation. Let's face it: Theorizing on feline logic can be exhausting. ... this cat comes along and throws it all underwater.